How do you create a deeply intelligent device whose enclosure and display are a single, uninterrupted element? 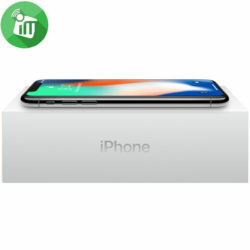 That’s the goal we first set for ourselves with the original iPhone. 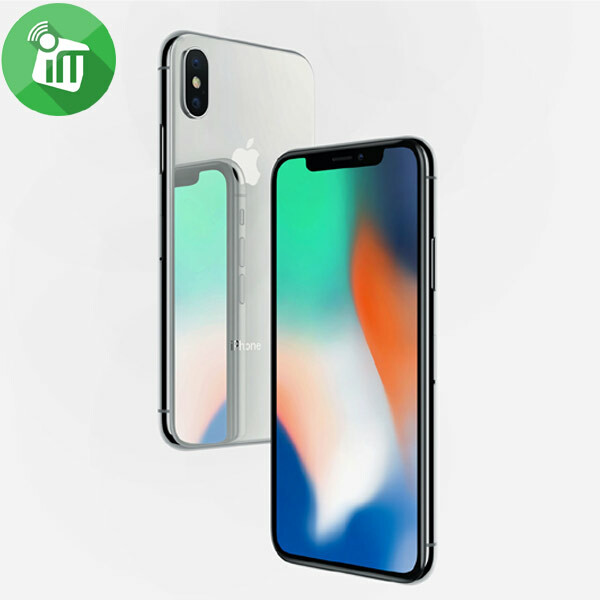 With iPhone X, we’ve achieved it. 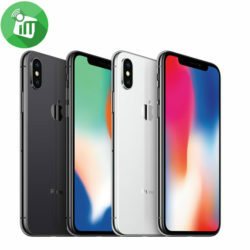 The purest expression of iPhone. 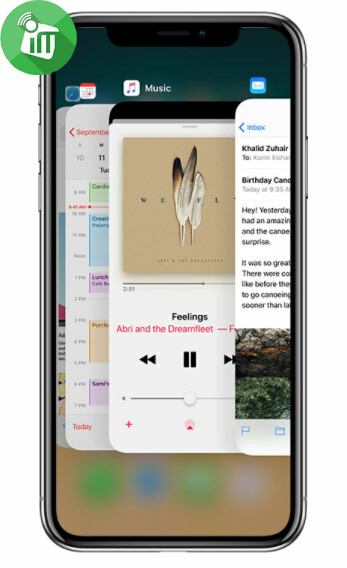 To create a continuous surface, with nothing to get in the way of your experience, we replaced the Home button with new yet familiar ways to navigate. Intuitive gestures make it easy to get around. A single swipe from the bottom takes you home. So much technology. In so little space. Introducing Super Retina. Beauty through engineering. 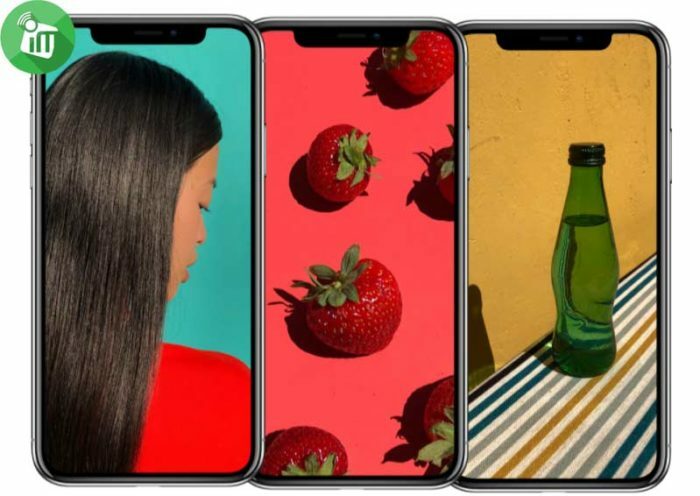 The OLED panel in the Super Retina HD display isn’t just any OLED. It’s custom built to our exacting standards, allowing for an HDR display with a 1,000,000 to 1 contrast ratio, high resolution and brightness, wide color support, and the best color accuracy in the industry. Brilliance to the edges. 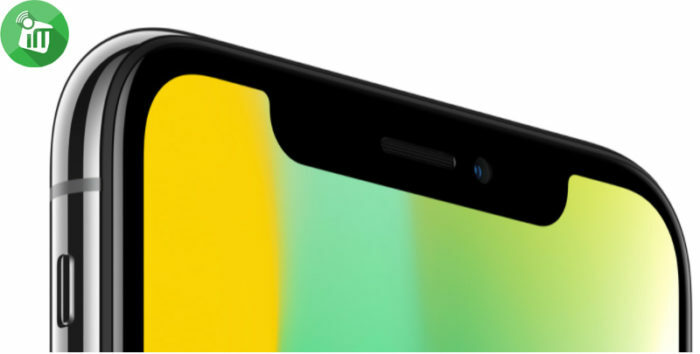 Using innovative folding and circuit stacking technology, the OLED panel follows the curves of the device into the farthest reaches of the corners. Then it uses a process called subpixel anti-aliasing to tune individual pixels for smooth, distortion-free edges. The best color accuracy in the industry. The advanced color management system in the Super Retina HD display is the best in the industry. 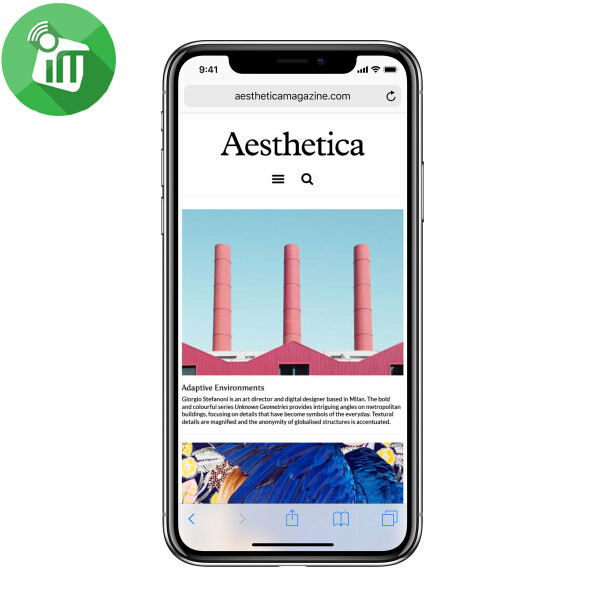 Which means that whatever color mode your content uses — P3, sRGB — iPhone X automatically displays in that format. So the colors you see are the colors the director or designer intended. For a more comfortable viewing experience. True Tone technology uses an advanced six‑channel ambient light sensor to subtly adjust the white balance onscreen to match the color temperature of the light around you. So images on the display look as natural as on a printed page, reducing eyestrain. Now playing for the first time on iPhone. 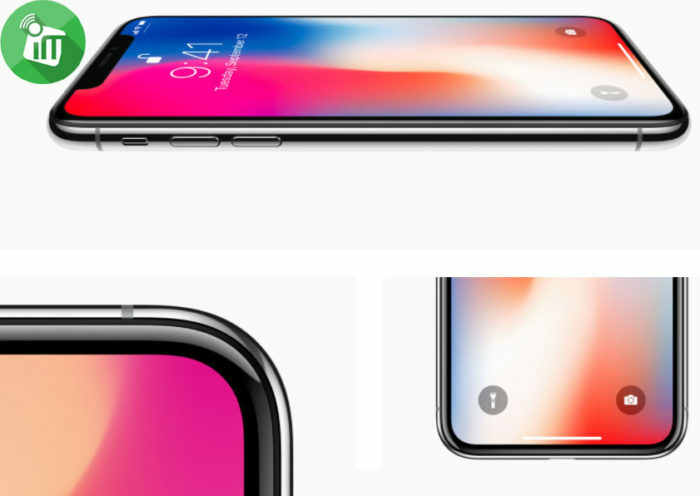 The stainless steel band that wraps around and reinforces iPhone X is a special Apple-designed alloy that’s both durable and more pure, and it polishes beautifully. For the space gray finish, we use a process called physical vapor deposition to precisely match the color of the stainless steel band to that of the glass. What could be more natural than a touch? A look. 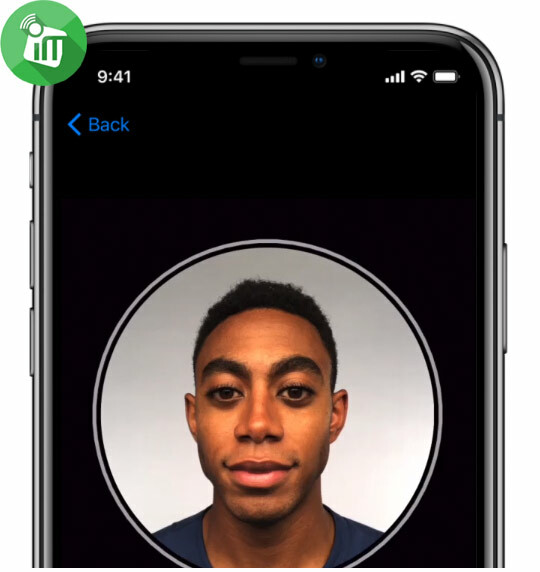 That was the insight behind Face ID, a powerful and secure authentication system that’s even more convenient than Touch ID. It makes unlocking your iPhone X fast, easy, and intuitive. The incredible technology behind incredible simplicity. The TrueDepth camera system is composed of multiple innovative technologies. 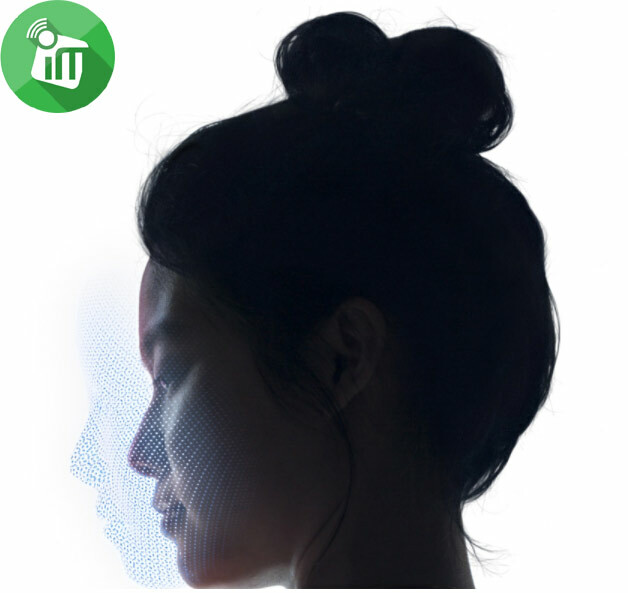 Working together in real time, they use a detailed depth map of your face to recognize you in an instant. Your face is your secure password. 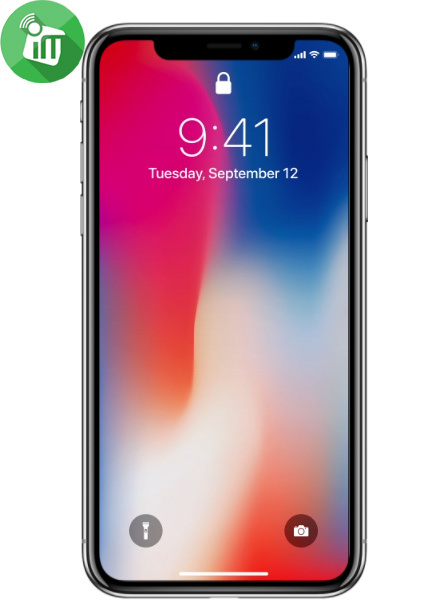 With Face ID, iPhone X unlocks only when you’re looking at it. It’s designed to resist spoofing by photos or masks. 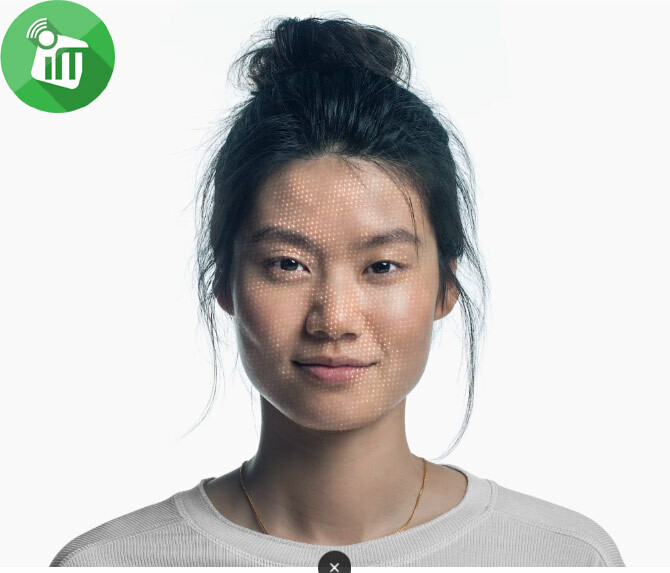 Your facial map is encrypted and protected by the Secure Enclave. And authentication happens instantly on the device, not in the cloud. Once it knows you, it knows you. So smart it only works when you want it to. 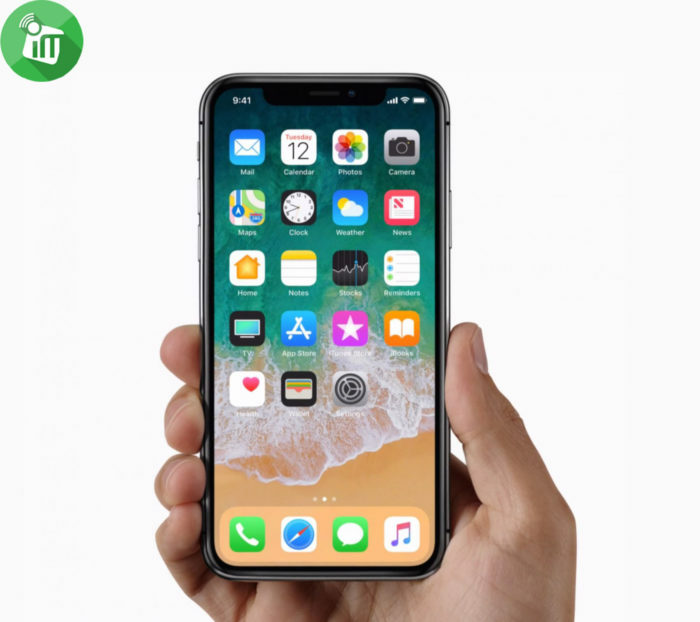 For additional security, Face ID is attention aware, meaning it unlocks your iPhone X only when you look toward the device with your eyes open. 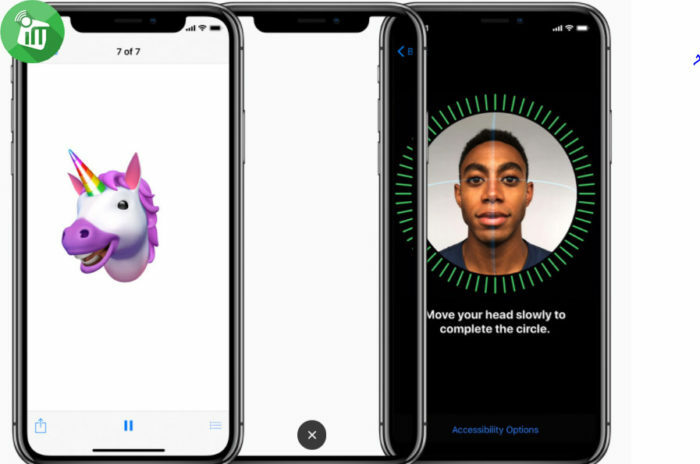 That means Face ID can also reveal notifications and messages, keep the screen lit when you’re reading, or lower the volume of an alarm or ringer. How much innovative thinking can you fit into a tiny space? Quite a lot, it turns out. 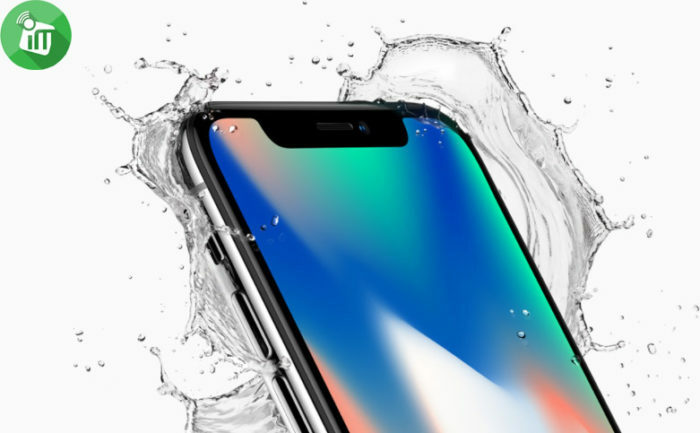 The TrueDepth camera system houses sophisticated cameras and sensors for new capabilities only possible with iPhone X. Tremendous innovation in a minuscule space. 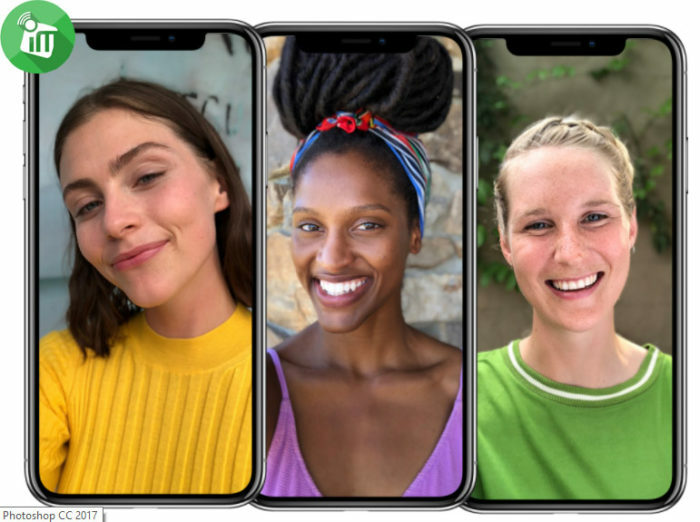 An intricate system of powerful technologies work with A11 Bionic to enable Face ID, selfies with Portrait mode, and Animoji. For selfies with real depth. For selfies with studio effects. 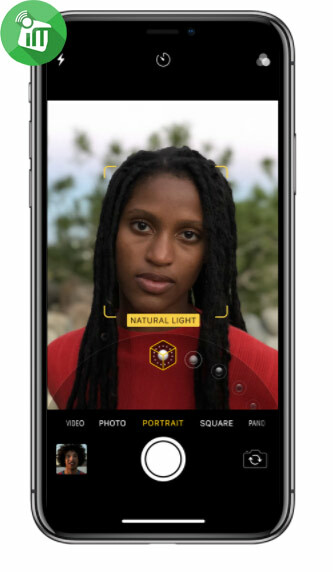 Inspired by extensive research into the art and science of portraiture, all-new Portrait Lighting uses sophisticated algorithms to calculate how your facial features interact with light. Then it uses that data to create stunning lighting effects. A new way to get into character. Admit it. You’ve always wanted to be a unicorn. 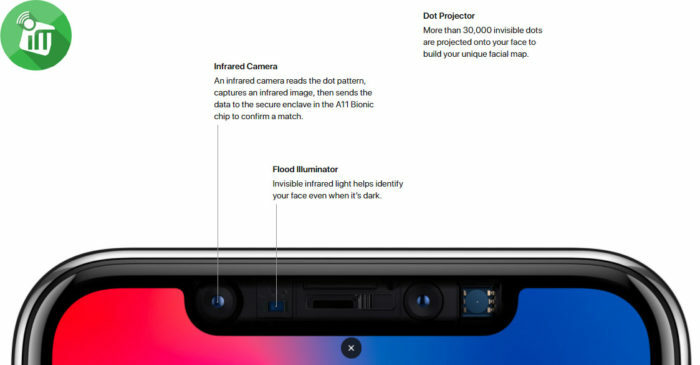 Working with the A11 Bionic chip, the TrueDepth camera captures and analyzes more than 50 different muscle movements, then mirrors your expressions in any of 12 different Animoji. 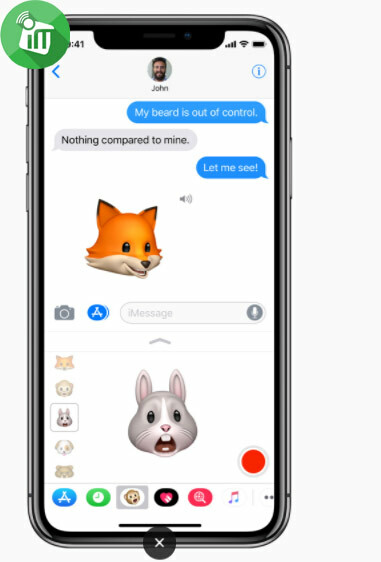 Animoji include your voice, and you can share your videos within Messages. Create videos that take you to new worlds. Clips is a free app that lets you make fun, shareable videos with text, graphics, effects, and more. 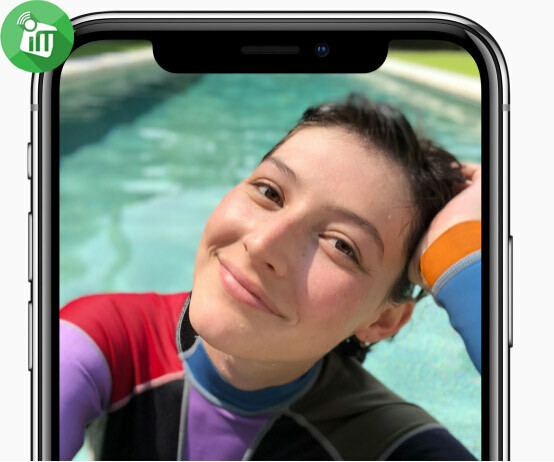 Selfie Scenes on iPhone X make Clips even more fun, using the TrueDepth camera to immerse you in 360-degree animated landscapes. Can a camera capture more than meets the eye? 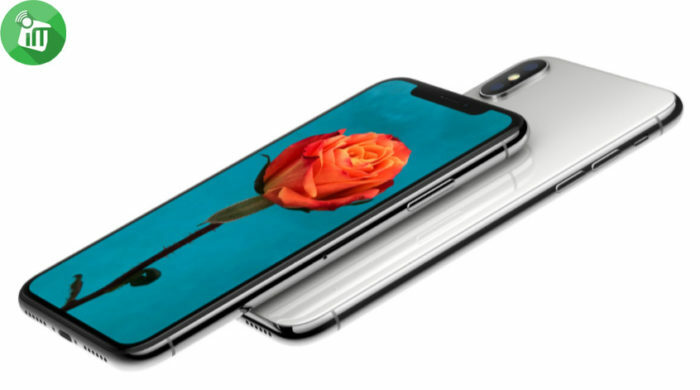 To find out, we integrated faster, optically image-stabilized cameras with the advanced machine learning of the A11 Bionic chip. The result is a photography system that sees more, understands more, and does more. sensor make the most popular camera in the world even better. 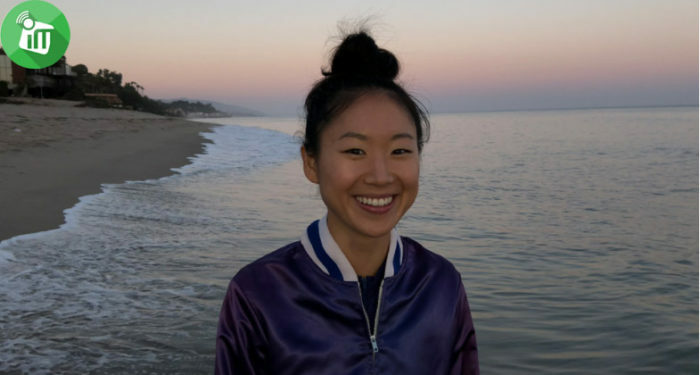 Portrait mode gets even better, with sharper detail, more natural background blurring, improved performance in low light, and access to the flash when you need it. 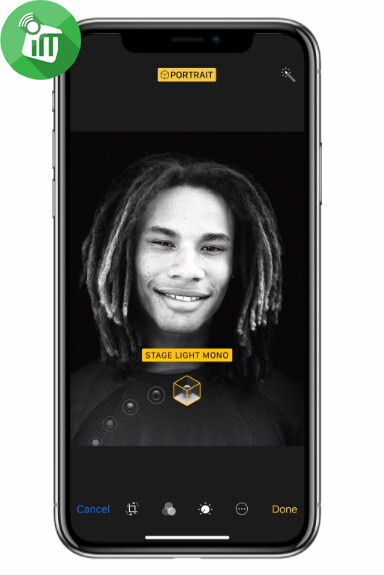 Based on core photographic lighting principles, Portrait Lighting combines complex software and hardware like depth‑sensing cameras and facial mapping to produce the effect of real studio lighting. 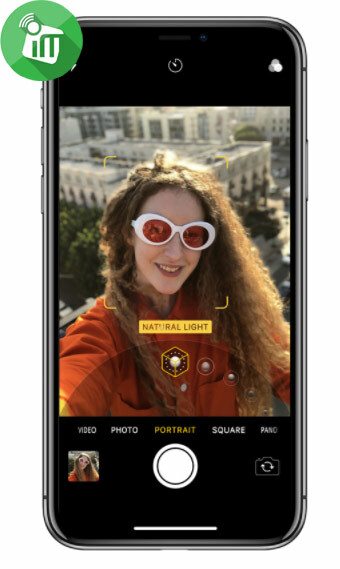 The intelligent, Apple-designed image signal processor detects elements in the scene — like people, motion, and lighting conditions — to optimize your photos even before you take them. It also delivers advanced pixel processing, wide color capture, faster autofocus, and better HDR photos. 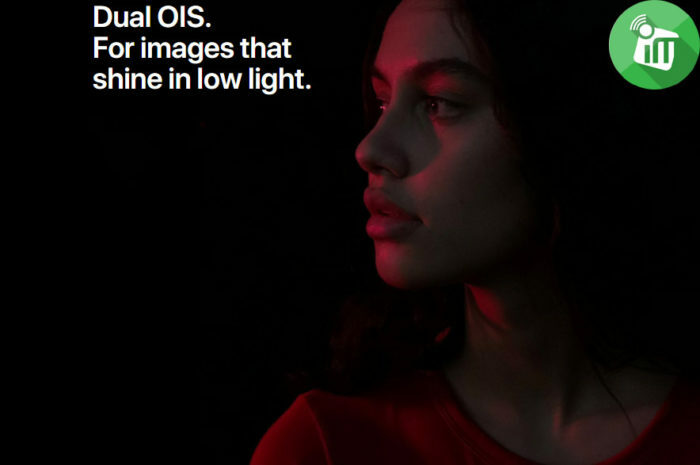 For images that shine in low light. One of the hardest things in photography is getting great photos and videos in low light. Optical image stabilization in both rear cameras makes it effortless. 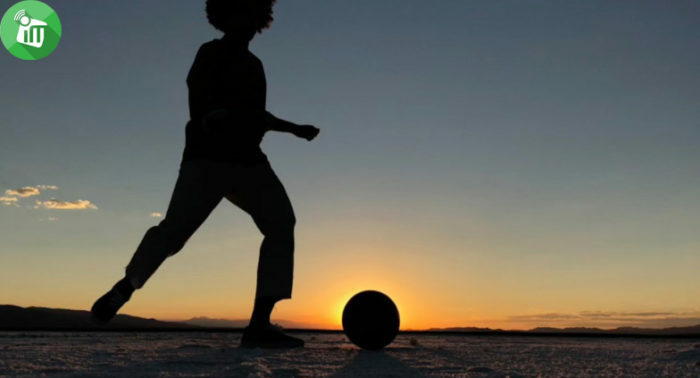 So when the day ends, your creativity is just beginning. 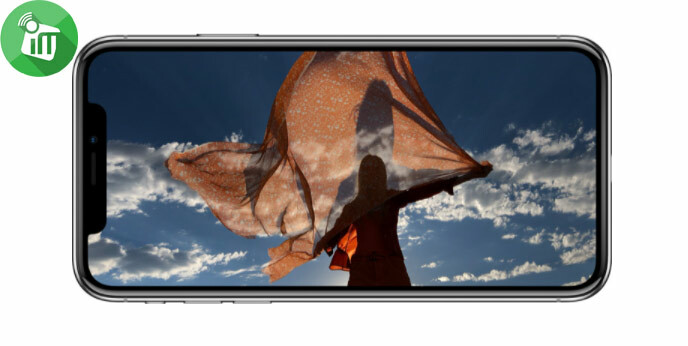 From the moment you capture a photo to your final edit, iPhone X makes it even easier to create spectacular shots. 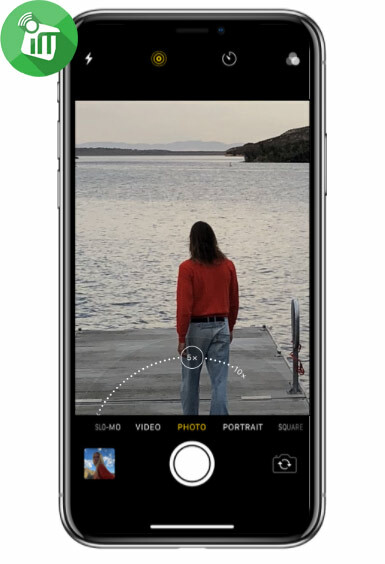 And next-generation HEIF compression technology lets you take new photos with the same quality as before at half the file size. So snap away. 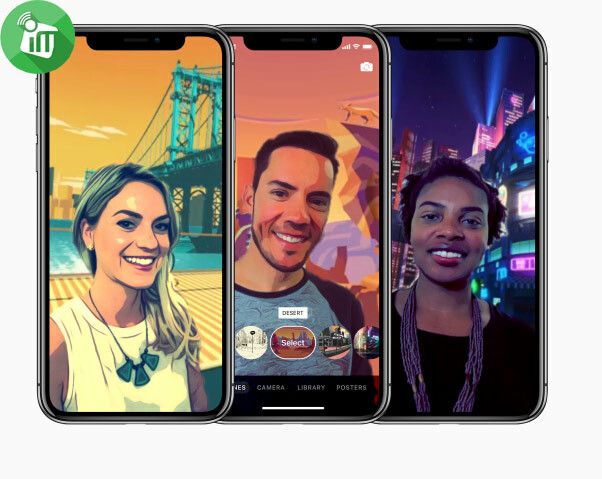 Transform a Live Photo you love into a fun video loop. Make it bounce back and forth. Turn fireworks into bright streaks across the sky with a beautiful long exposure effect. 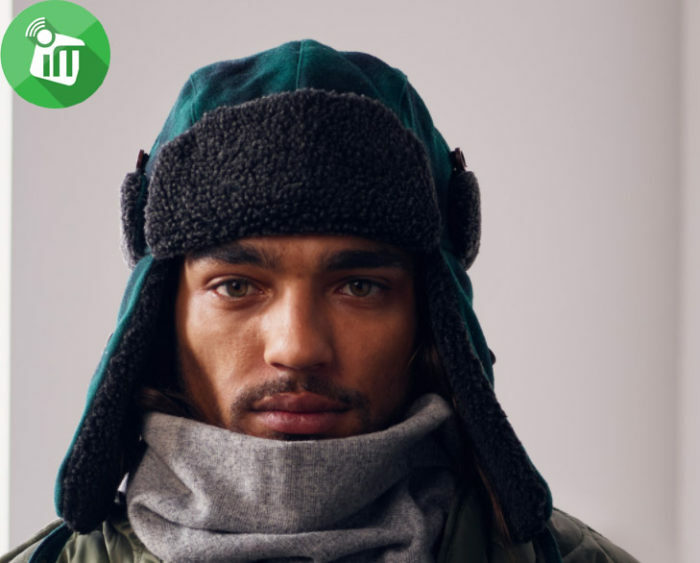 And apply new filters for more natural skin tones or to add classic looks to portraiture. Slow Sync flash combines a slow shutter speed with a short strobe pulse. It’s useful in low light when you want a brighter foreground subject with a properly exposed background. And the Quad-LED True Tone flash delivers illumination that’s up to two times more uniform, helping to reduce hot spots. Videos that belong on the big screen. 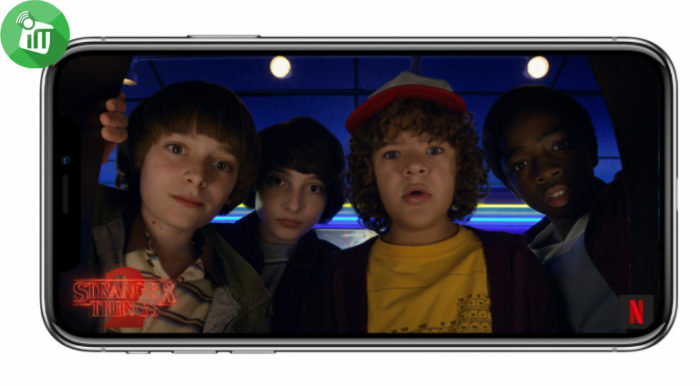 Whether you’re a proud parent, a film student, or a working director, iPhone X lets you shoot phenomenal movies. An Apple‑designed video encoder performs real-time image processing for optimal quality. And with HEVC compression, you’ll get the same video quality as before at half the file size. Advanced video stabilization uses a new, larger sensor and the powerful ISP to stabilize everything you’re shooting. And optical image stabilization is designed to reduce motion blur and handshake in low-light videos. So your movies look steady even if your hand isn’t. Photos taken with iPhone X. 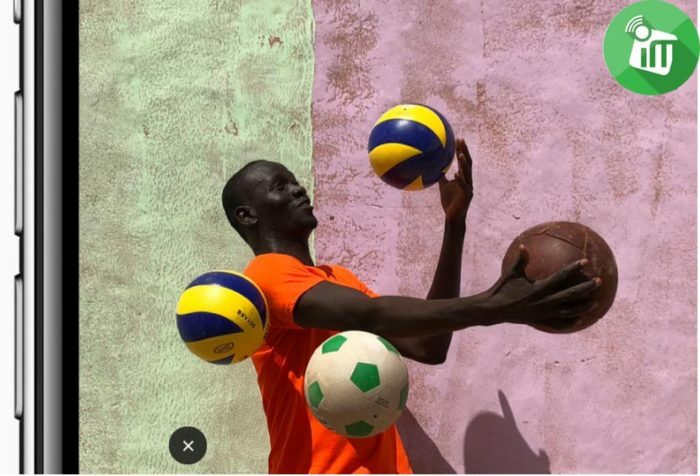 We asked amateur and professional photographers around the world to take iPhone X and shoot what inspires them. 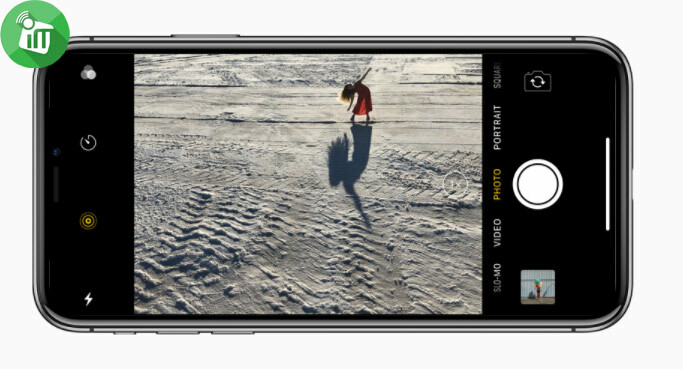 The images they captured are beautiful examples of what the cameras on iPhone X can do. Can you create a chip that’s both powerful and intelligent? 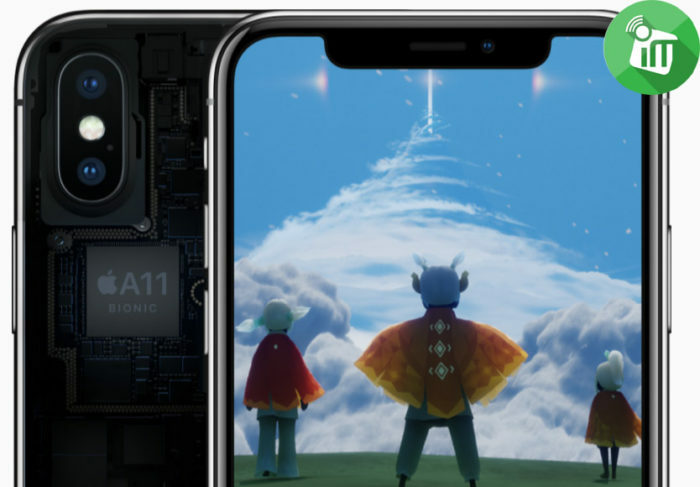 Meet A11 Bionic, the most powerful and smartest chip ever in a smartphone. What a neural engine is. A neural engine is hardware that’s purpose-built for machine learning, a type of artificial intelligence that enables computers to learn from observation. It’s capable of incredibly fast computations needed by neural networks while also being incredibly efficient. What a neural engine does. The neural engine in the A11 Bionic chip is a dual-core design that recognizes people, places, and objects. 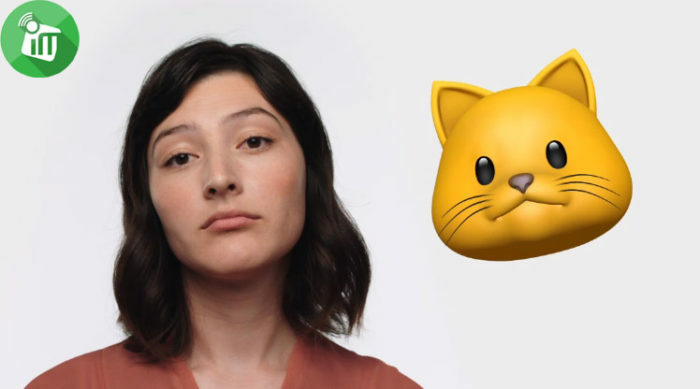 It tears through machine learning tasks at up to 600 billion operations per second and is the driving force behind innovative new features like Face ID and Animoji. 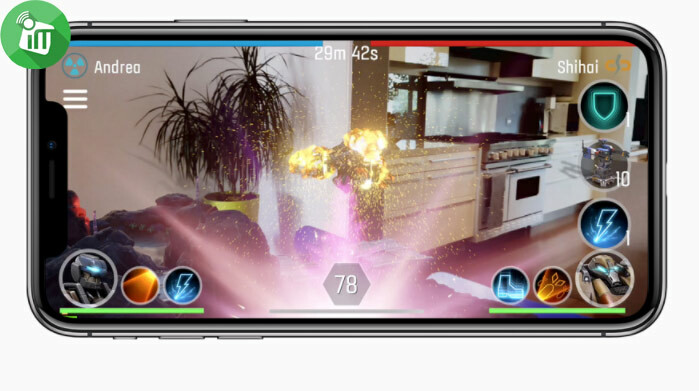 Metal 2 is Apple-designed graphics software that lets developers build console‑style games. Core ML enables developers to integrate machine learning into their apps. 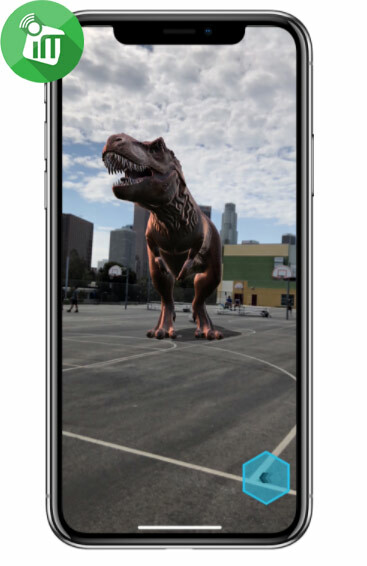 The GPU in A11 Bionic is optimized for these new, immersive 3D games and AR experiences. 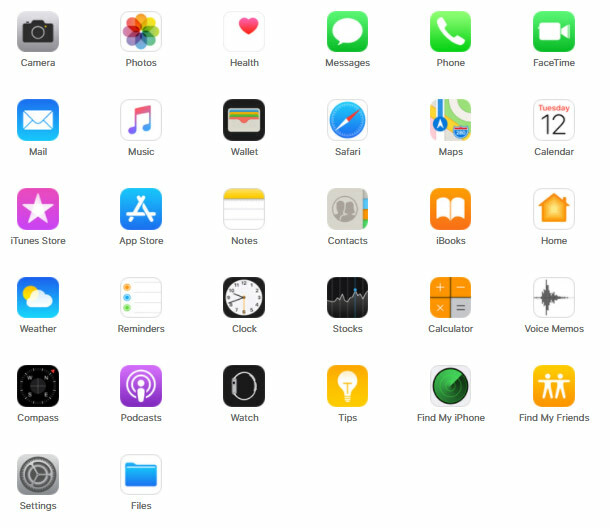 Introducing AirPower mat. 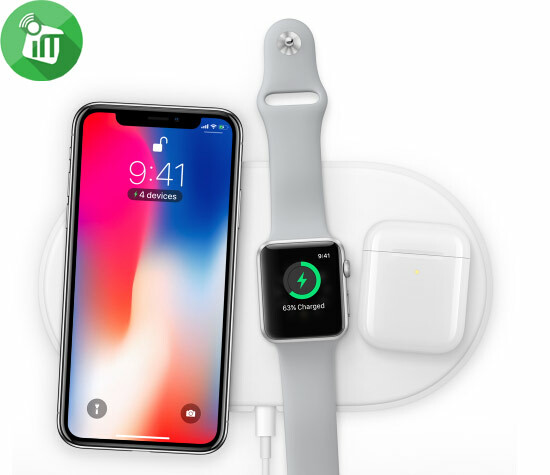 Just set your iPhone, Apple Watch, and AirPods anywhere on the mat to charge them wirelessly. 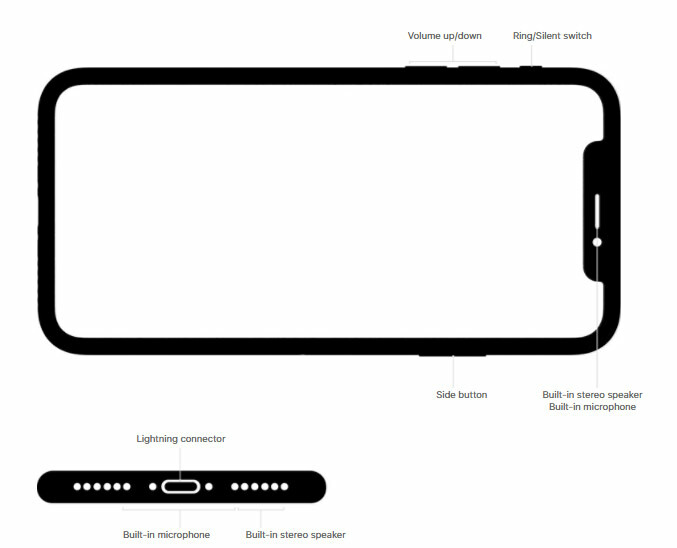 How do you make an iPhone designed for a wireless world? 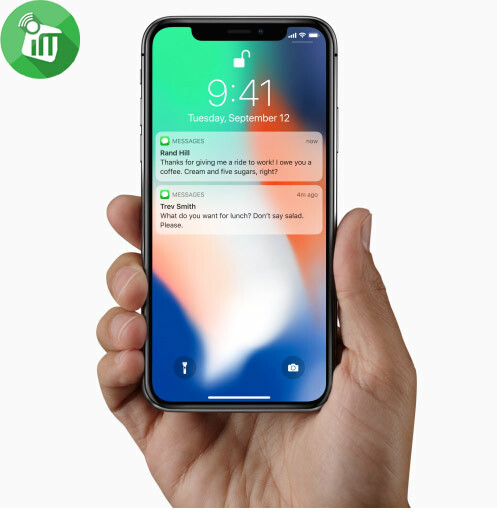 By building on wireless technology like headphones and advanced networking to introduce easy wireless charging. 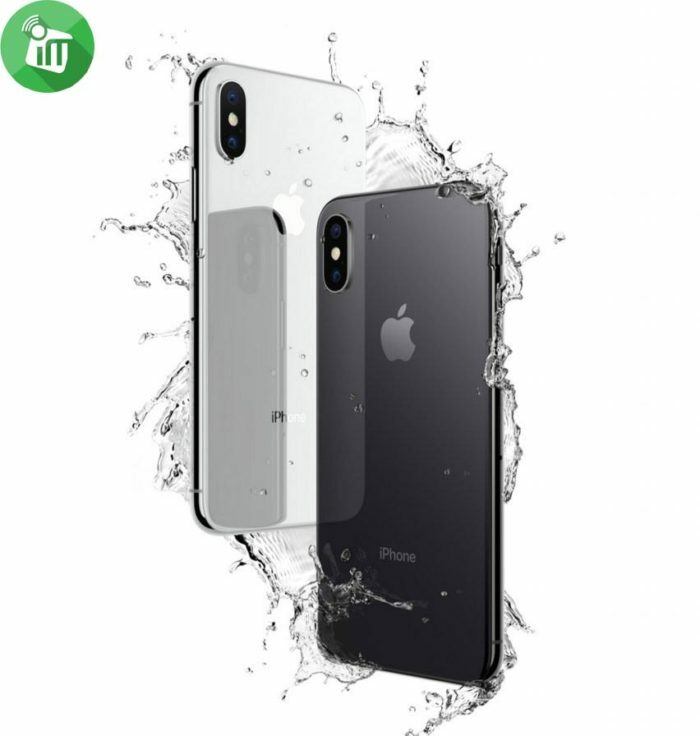 The glass back, together with an efficient charging system, allows you to simply set iPhone X down to charge it up. 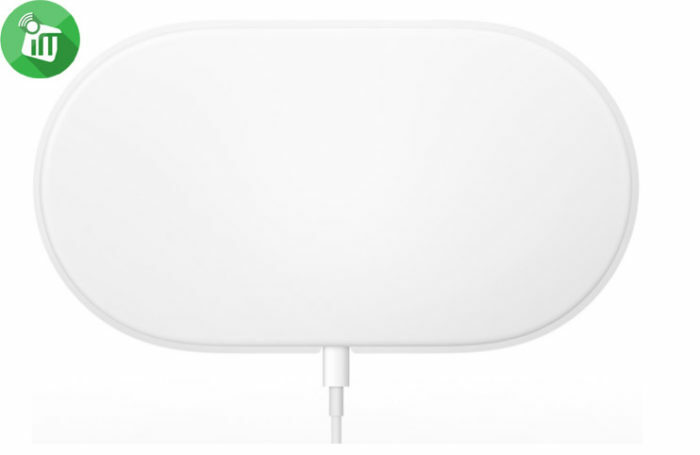 We wanted people to enjoy the convenience of wireless charging anywhere. 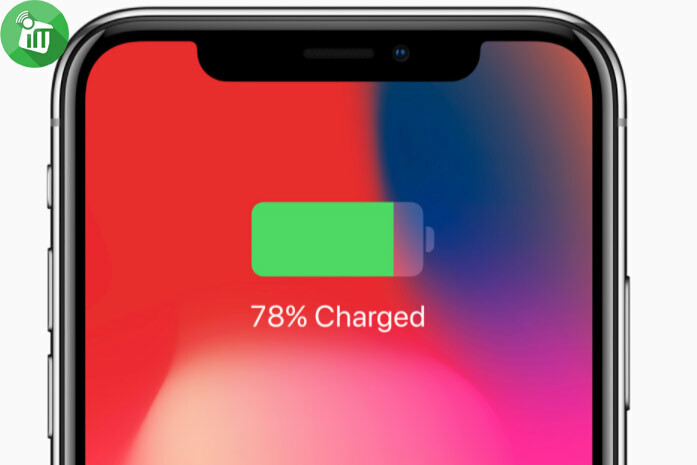 So iPhone X works with Qi wireless chargers commonly found in hotels, cafes, airports, and cars. 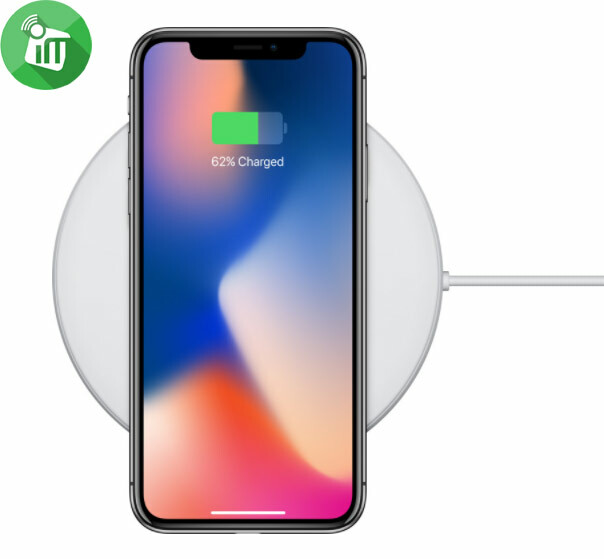 Belkin and Mophie have also developed two new wireless chargers designed for iPhone X.